Photographer and Writer. Publisher of Silver Print Press, Colbyville, Vt. See at the bottom of this bio the Vermont State Legislature proclamation honoring Peter Miller for his Vermont books and Senator Leahy’s speech o n the US Senate Floor. Military: U.S. Army Signal Corps Photographer, Paris, France. 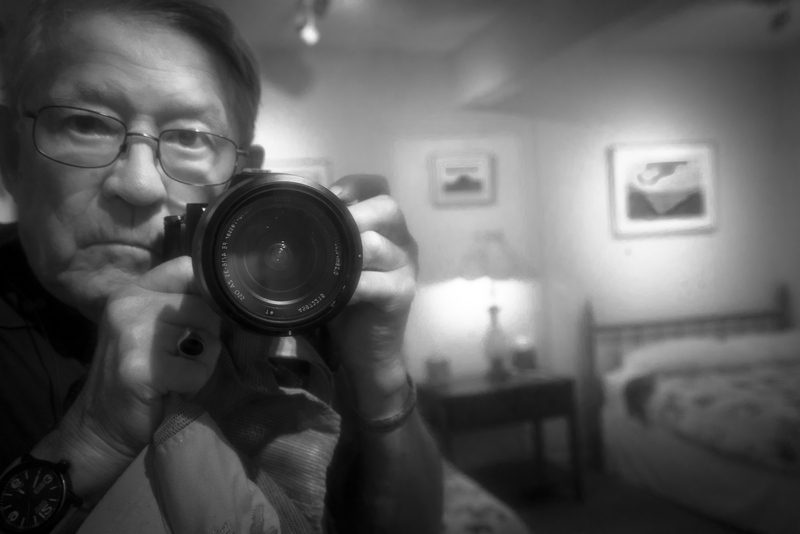 Freelance photographer/writer, author, publisher, 1988-Present Writer/photographer of magazine articles: Americas, Sports Illustrated, Smithsonian, New York Times Sunday Magazine, Ski, Snow Country, Field and Stream, Travel & Leisure, Gray's Sporting Journal, most inflight magazines, many foreign publications. 1995: The Image Bank Award for Visual Excellence for the book project, People of the Great Plains. 1996: Two gold, one silver Ben Franklin awards: book design, photography/art book of the year: People of the Great Plains. 2006: Editorial staff of The Burlington Free Press and the Vermont State Legislature named Peter Miller Vermonter of the Year for his written/visual documentation of Vermont's rural culture. 2014: New England Book Festival Gold Award, Best Photo/Art Book from New England for A Lifetime of Vermont People. 2014: New England Society of New York Gold Award, Best Photo/Art Book from New England for A Lifetime of Vermont People. 2014. Independent Book Publisher’s Award for the best non-fiction book from New England. Museum of Our National Heritage, Lexington, Massachusetts. Museum of the Great Plains, Lawton, Oklahoma. Below is the text of the 2006 State of Vermont House Resolution honoring Peter Miller for his books Vermont People, Vermont Farm Women and Vermont Gathering Places. H.C. R-372. HOUSE CONCURRENT RESOLUTION CONGRATULATING PETER MILLER OF COLBYVILLE ON HIS BEING NAMED THE BURLINGTON FREE PRESS’S VERMONTER OF THE YEAR. Resolved: That the secretary of state be directed to send a copy of this resolution to Peter Miller in Colbyville. Peter Miller’s reputation as a photographer and writer surged in 1990 after he self-published his first coffee table book, Vermont People. Thirteen publishers in New England turned down the book; Vermont Life executives told the author he would not sell over 2,000 books in ten years. Worried he would lose his home, which he borrowed against to print the book, the author-photographer mailed 18 news releases to the press, categorizing himself as a David fighting Goliath sized publishers—at least in Vermont. The result is that Vermont People’s first print run of 3,000 sold out in six weeks and the book went on to sell 15,000 copies before the author retired it. In 2013 Peter printed A Lifetime of Vermont People, 60 black and white portraits and profiles of Vermonters taken over 60 years. It is one of Vermont’s distinguished books, both in the writing, photography, and its importance in documenting our culture. The book won four gold medals; International Publisher’s Association named it the best non-fiction book in New England. In the same time span Peter also published People of the Great Plains, Vermont Farm Women, The First Time I Saw Paris, Vermont Gathering Places, Nothing Hardly Ever Happens in Colbyville, Vermont. The author has sold nearly 50,000. Peter was born in New York City the son of a Wall Street broker and Irish activists. His father became an alcoholic and died when Peter was a senior at Burr and Burton Academy. His mother had moved to Vermont, which at the time was inexpensive. He had some guns stolen and with the insurance check given him by his mother he bought a twin lens camera, which shaped his life. When he was at the University of Toronto he met Yousuf Karsh and assisted him in 1954 as he photographed the famous Celebrities living in Europe—John Steinbeck, Albert Camus, Le Corbusier, Picasso, Pope Pius 23rd, Prince Philip, and many others. After university he enlisted in the US Army and spent two and a half years living in Paris as a Signal Corps Photographer. The young photographer spent his free time photographing Parisian street scenes, which became an integral part of his Paris book published 40 years later. Peter learned how to write and layout after working for three years as a reporter-writer for LIFE Magazine. He moved back to Vermont in the early 60’s and has lived there ever since. He has been honored by the Vermont Legislature and was elected Vermonter of the Year in 2006. He has a gallery in his home in Colbyville, Vermont, next door to Ben & Jerry’s Ice Cream factory. Mr. LEAHY. Mr. President, for generations, Vermonters have contributed to our national culture, through art, music, film and prose. Peter Miller is one such artist whose impressive work throughout his life as both a photographer and author has showcased Vermont and its residents and enriching us all. His appreciation and respect for the traditional culture that defines Vermont is readily evident in his work. He has photographed farm-dotted landscapes, village communities, and generations of Vermont families. When writing the forward to his 2003 book Vermont People, I noted that "the Vermont faces in this book speak worlds about living in the State that gave them character, wrinkles and wisdom ..... through their faces, you can see Vermont.'' Peter's most recent work, A Lifetime of Vermont People, is another testament to his tenacity and tact as a Vermonter. A product of over a year's worth of photography, fundraising, and self-publishing, this book is truly a labor of love. His addition of background stories helps provide greater insight and meaning to the photographs included and through his photography and the recent addition of writing to his repertoire, he gives a face, and a voice, to Vermonters. Peter lives the lifestyle he captures in his photography. A Vermonter for over five decades, he has embraced the way of life that makes the State so special. Like his black and white photographs that draw focus squarely on the subject of the piece, rather than relying on flashy colors to convey a message, he is not interested in glitz and glam. His books have themes that exemplify Vermont: farm women, gathering places, small communities. He laments the waning of iconic farms, the erosion of small town values, and the fading of the once impermeable Vermont way of life. His resiliency is remarkable and his uncanny ability to display the beauty of Vermont in a way words cannot do justice serves as an inspiration for photographers everywhere. I ask unanimous consent that an article in the VT Digger that highlights the lifetime of accomplishments of this extraordinary man be printed in the Record. Photographer Peter Miller has spent a lifetime seeing the world in black and white while portraying it in all its colors, both with his pictures and writing. It's a mysterious gift that has blessed him with a distinguished, adventurous career that spans close to 60 years. His latest book, A Lifetime of Vermont People, is a 208-page paean to the art of black and white portraiture, capturing not only remarkable faces and places, but through sheer passage of time, vanished landscapes and passing eras in the Green Mountains. Published in June, the cloth-bound coffee-table book and its impeccably printed photos should be the capstone of his illustrious life. But as he wanders closer to the threshold of 80, Miller acutely feels part of a vanishing era himself, his view of the world not unlike an old snapshot: a bit faded and worn, its luster dimmed by the years. After putting his heart and soul and significant money into his latest book, he honestly admits he's at loose ends: filled with ideas, beset with projects left to do, wondering how he's going to find energy to do them, let alone pay for them. Lifetime, for all its striking portraits, just about killed him. It sapped his strength, and if you talk with him a while, you sense, some of his spirit. "Sitting behind that computer for a year, seven days a week, finished me. I had a lot of stress. I put on weight. My right leg swelled up because I was in the same position, and I could hardly walk,'' he says. He also had to raise the money to self-publish and print 2,500 copies of the book, using his own funds and a Kickstarter campaign. "I ended up with $2,000 to my name, and I said to myself, 'I'm getting awfully close to the edge','' he says. Having put some distance between the book's release and having sold around 1,000 copies, he can now breathe a little easier and look back on the past 18 months with a sense of perspective. "I'm not depressed about life,'' he says, but there's no doubt he feels things have changed in ways he doesn't like and doesn't respect--Ben & Jerry's, gentrification, Stowe-style luxe tourism and massive trophy houses are ripe topics, for starters. In looking askance at change, Miller is not unlike many others whose life trajectory has spanned 79 years. But it seems particularly poignant irony that after six decades of exceptional artistry, painting lives in film and then digital pixels, he's come to feel as much a historical artifact as his portrait subjects--trappers, farmers, hunters, lawmakers, auctioneers, iconic Vermonters all--who have now passed on. It's tempting to wield the label curmudgeon after talking with Miller, but if you listen a little harder, more likely words like honest, opinionated, frustrated and baffled come to mind. "All these things are being taken, and frankly, I don't know how to make a living,'' he explains. He was raised in Weston, where his passion for photography blossomed in 1950 as a 17-year-old, when he started capturing the way of life he saw around him. After school at Burr & Burton and college in Toronto, he became a carefree U.S. Army photographer, footloose in Paris with a 35mm Leica, a Rolleiflex twin-lens camera, and a young man's energy and budding sharp eye. Then came travels across Europe in the mid-1950s as the set-up man for famed Canadian photographer Yousuf Karsh, meeting people like Pablo Casals, Picasso, Pope John XXIII, Christian Dior, and Albert Schweitzer, soaking up culture and the good life with food and wine. Wanting to write, he then had a dream stint as a reporter for Life magazine, but disliked the constraints of corporate life--he's kind of a "loner,'' he admits--and struck out on his own path. It took him all over Vermont and America, producing acclaimed books such as People of the Great Plains, and Vermont People, which was rejected by 13 publishers. So he took a radical, then almost unheard of step and self-published it in 1990. It eventually sold 15,000 copies. His Lifetime of Vermont People expands on the idea, with 211 photos and 60 profiles of ordinary and extraordinary Vermonters. Why use black and white? "I think you can get inside a person more in black and white,'' he explains, saying it's more abstract. and not having a color background distracts less. His talent in distilling the essence of a person in a photo is something that he still doesn't completely understand, along with where his "drive'' and persistence comes from. He does know he doesn't just shoot, but "visits'' with people, putting them at ease, which is something he learned from his mentor, Karsh. "I don't quite understand the whole process,'' he admits, calling it "something magical.'' Miller is gracious and full of tales as he ambles about the second floor of his pale yellow, rambling, much-bigger-than-he-needs and way-too-trafficked house. It's in Colbyville, a Route 100 hamlet swallowed up and masticated into something indistinguishable by the voracious maw of tourism development at the I-89 interchange in Waterbury. What got lost animates Nothing Hardly Every Happens in Colbyville, Vermont, a book of essays that riffs with trenchant humor on bird hunting, tourism and life before and after the Ben & Jerry's ice cream theme park up the street. The smell of smoke from two wood stoves permeates the slope-roofed rooms as he shows a visitor around his house, its walls rich with photos he's taken and art--especially paintings and sculptures of woodcock, a bird he loves to hunt. Are they good to eat? Oh yes, wonderful, he says. With a ruddy square face younger than his years, a still-full mop of white hair and small round eyeglasses that gives him a look of constant curiosity, Miller moves more cautiously than the vigorous outdoorsman he once was. A self-admitted "loner'' with two daughters (in England and Peru) from a former marriage, he lives by himself moving between an airy studio, a bedroom, small office, living room and kitchen. Downstairs is a little-visited gallery and sparsely heated shipping room stacked with boxes that hold just under 1,400 copies of his latest book. "I hope to sell a lot over Christmas,'' he says, noting he still has a living to make. Despite the ordeal of his last book, he has more he wants to do, like an exhibit or book of photos he took in the 1950s of Margaux, France, in the famed Bordeaux wine region. That period, that landscape, he says, "is completely gone now.'' But he wonders if he can find the time and energy and if there is a market for the photos. After a lifetime of black and white, life seems to offer only a lot of gray areas. "I don't know what I am anymore,'' he says.